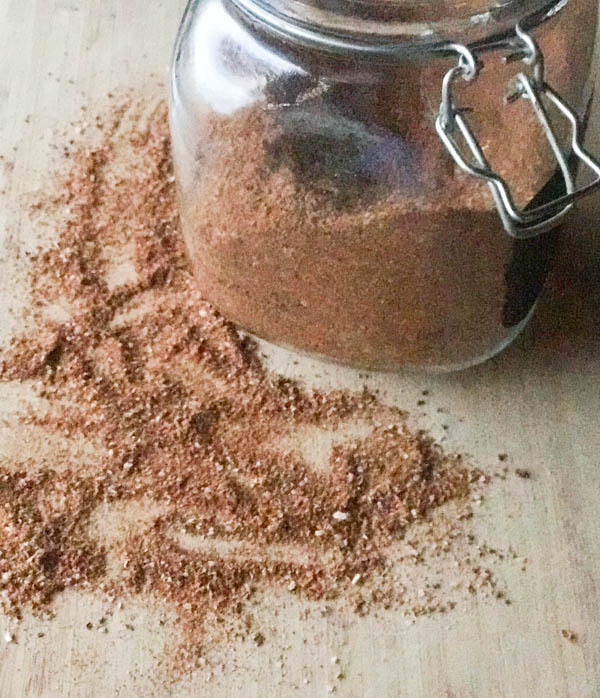 Ok, before you look at all the ingredients this southwest seasoning recipe requires, let me tell you that this will be wonderful on grilled chicken, as a seasoning for pork, or any type of grilled beef. One of my favorite uses is in my Southwest Skirt Steak Tacos! It is has layers of flavor that will take your cooking to the next level. One of the reasons I love making my own seasoning blend is I want to be unique. I want my guests to try and guess what ingredients I use, not be able to tell me the recipe. In giving you full disclosure, I want to tell you that this is kind of a pain to make. First, it takes quite a few different spices. Secondly, if you really want to make it wonderful, buy your spices whole and grind yourself. Third, if you really, really want to make this a show stopper, lightly toast the cumin seeds, coriander seeds, allspice, fennel and cloves before you grind them. I can assure you the smells in your kitchen will be intoxicating! Like most spice blends, whether you purchase them or make them yourself, keep in an airtight container and try to use within a month or two. Spices lose their potency over time, and you want to keep them fresh just as you want fresh produce. Yet another reason to purchase whole spices and grind them yourself. I simply keep a small coffee grinder that I just use for spice grinding. They’re inexpensive, and they work great. If you make this, I’m sure you’ll love it as much as i do. Enjoy! Assemble all ingredients in a bowl and thoroughly mix.